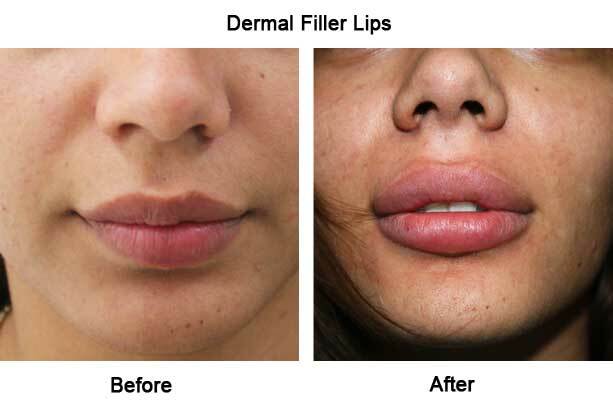 What is Dermal Fillers Treatment? 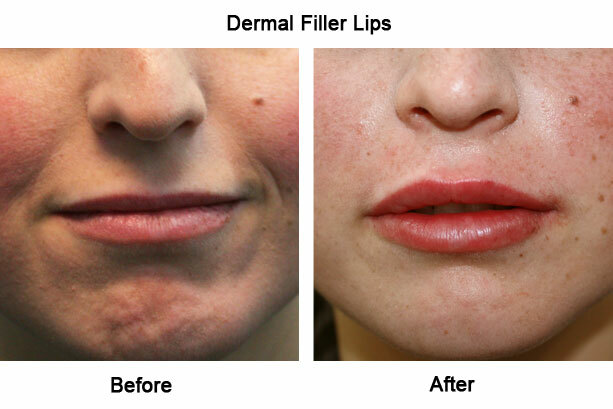 A Dermal Filler Treatment or dermal filler injection is a non-surgical procedure. 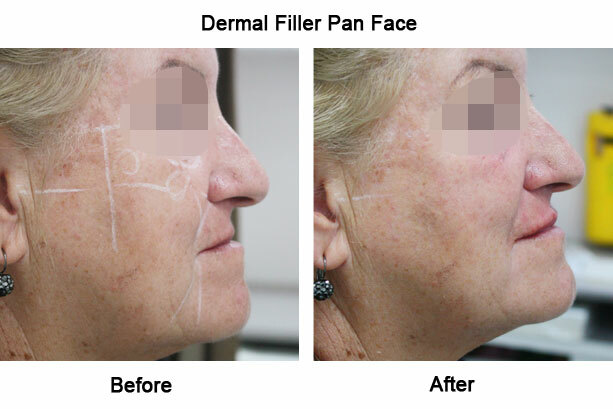 A specific dermal filler gel is carefully injected beneath the skin’s surface using a fine needle or cannula. 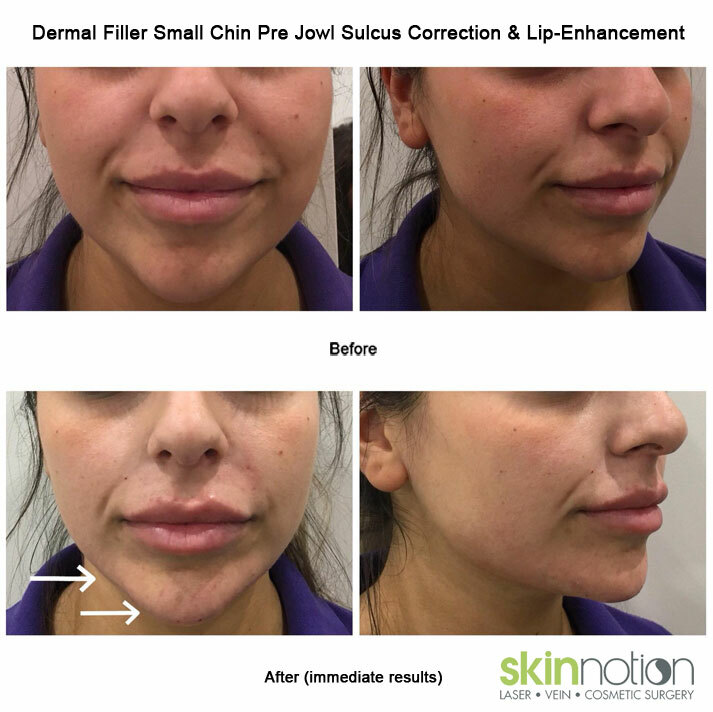 A dermal filler injection evens out facial wrinkles, lines and volume depleted areas, as well as enhancing skin hydration, definition and contouring effects to give a naturally youthful and refreshing look and feel. 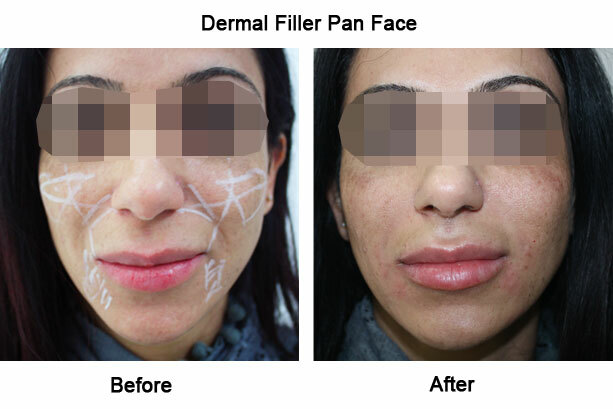 Benefits of having a Dermal Filler Treatment? 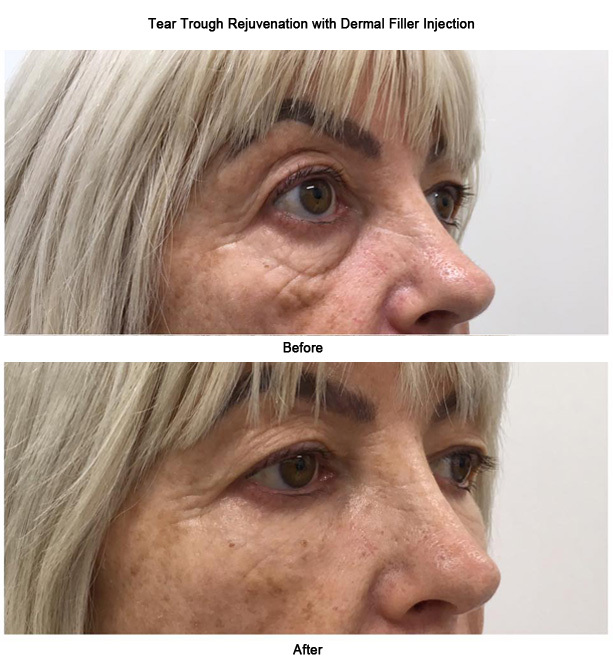 Our facial characteristics, beauty and youthful features are inevitably affected by a variety of factors such as sun exposure, the ageing process and sometimes natural conditions such as depressed acne or surgical scarring. 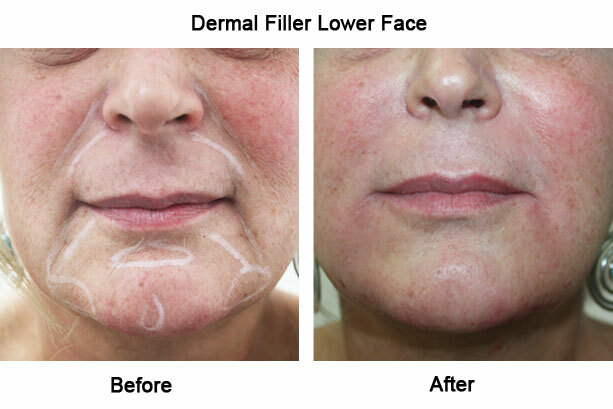 Dermal filler injections can enhance and restore youthful features providing symmetry and volume by ‘filling in’ or ‘plumping up’ static facial lines, wrinkles, folds, and scars that create a smooth textured surface to give an instantly dramatic rejuvenated appearance without significant cost, downtime and surgery. 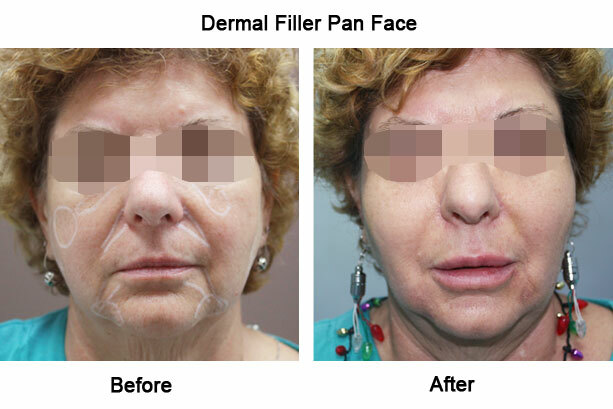 Who should have a Dermal Filler Treatment? 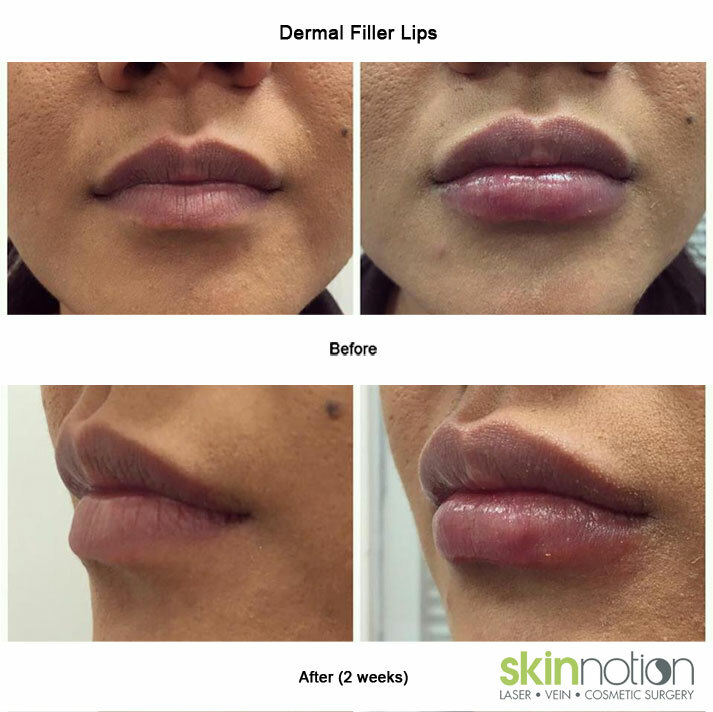 Even with a relatively youthful face (without any significant signs of ageing), doctors at Skinnotion, use a new dermal filler technique can add volume under the eyes, cheekbones and lips, to dramatically enhance natural beauty and sensuous features. 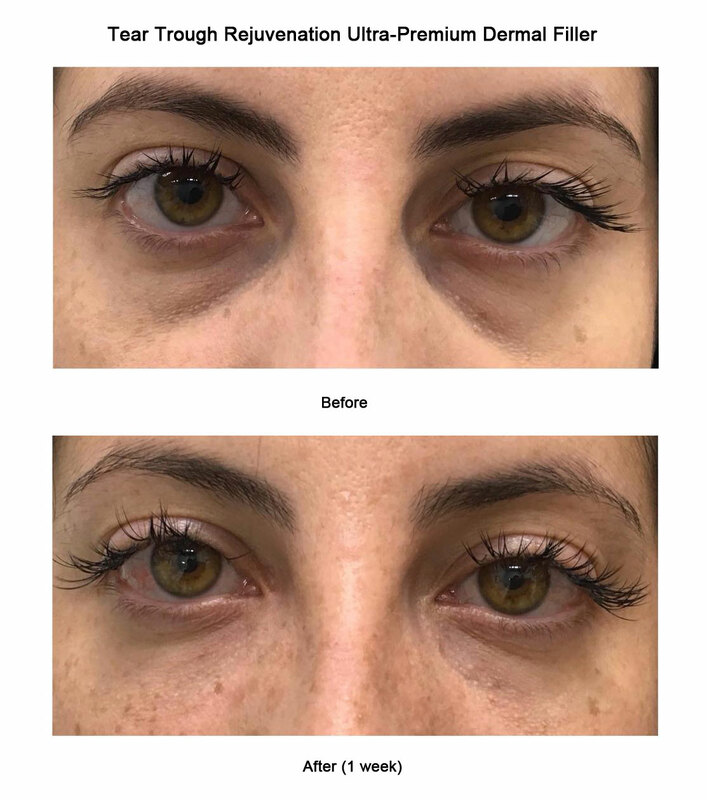 Younger people with congenital or hereditary problems like hollows under the eyes, dark circles, flat cheeks, thin lips and an under-developed chin. 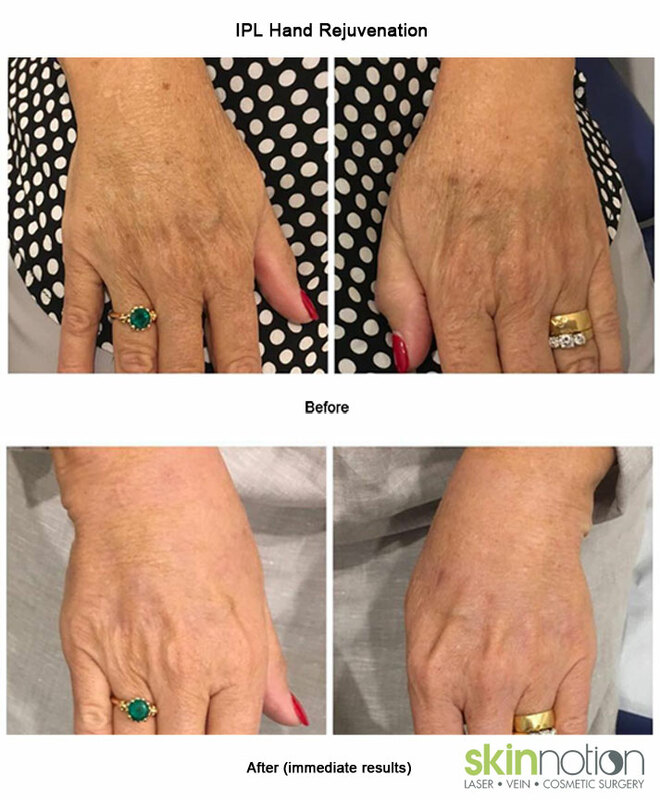 A new dermal filler technique can restore volume loss in areas such as the cheeks, lips, temples, and the back of the hands to give a subtle and naturally appealing youthful appearance suitable for older people that can last more than 2 years. 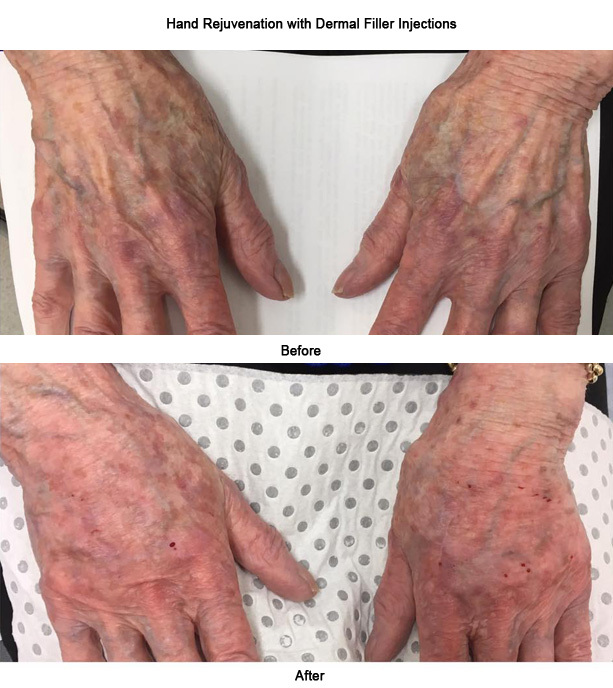 The production of collagen and elastin progressively diminish due to environmental factors, repetitive muscle contractions, genetics and age. 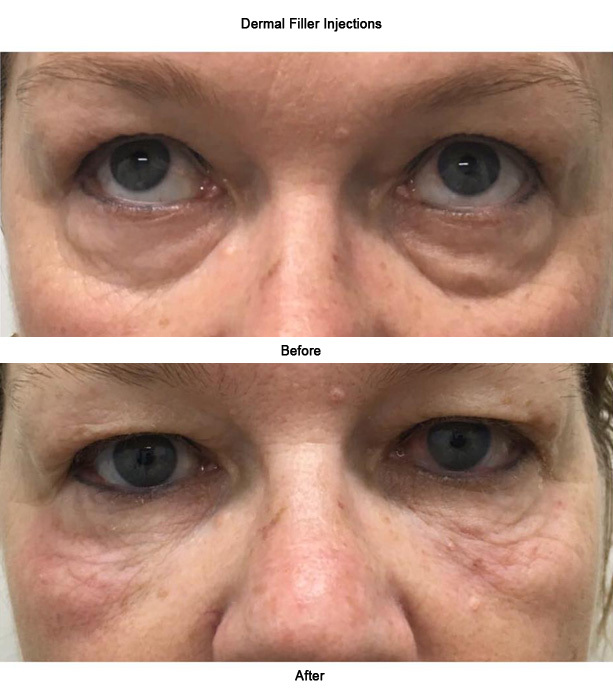 This can lead to skin laxity, wrinkles and volume loss which manifest as areas of flat, hollow, sagging skin that create a tired and aged appearance. 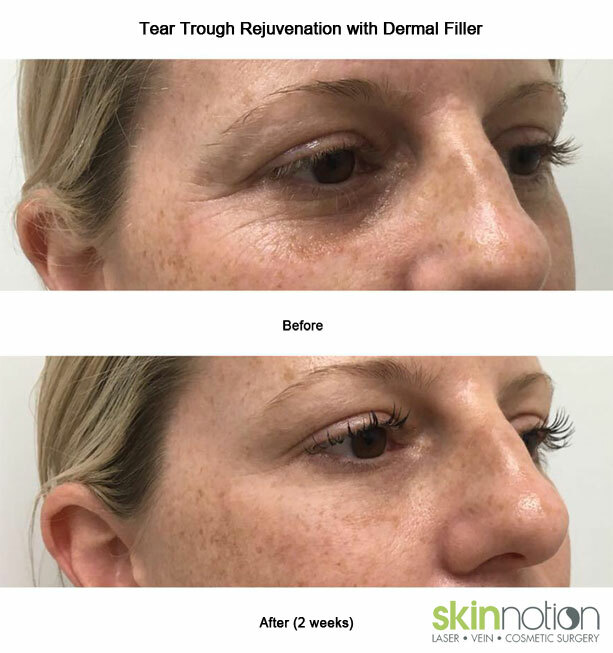 Dermal fillers revitalise and add volume to the skin, instantly diminishing the appearance of lines and wrinkles, and giving a natural softer look. 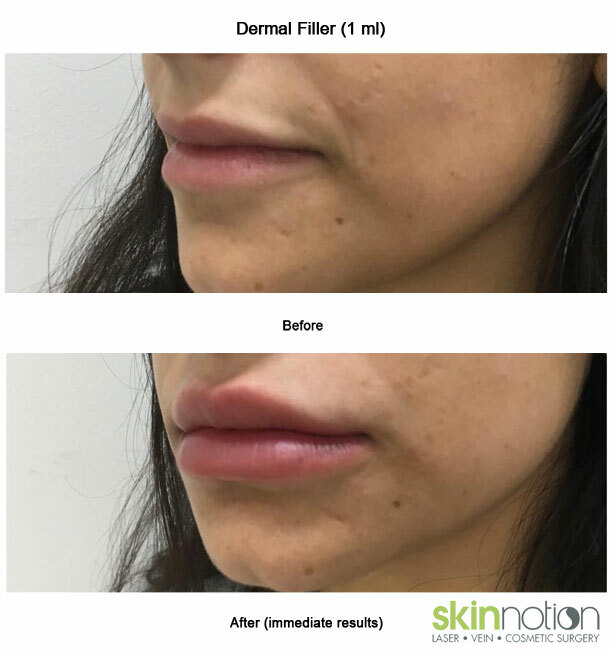 Dermal Fillers are sterile, clear, colourless, smooth injectable gel that consists of a non-animal stable chemical extract, processed and purified in a laboratory from naturally complex sugar chains. It consist of a substance that mimics what is naturally found under the skin. 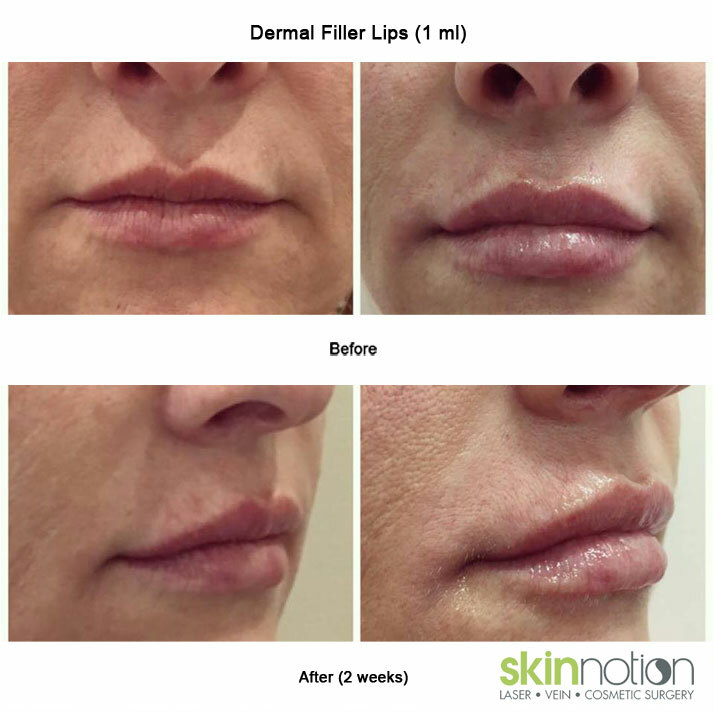 This smooth gel is injected below the skin’s surface using a fine needle or cannula to replace the naturally lost volume. 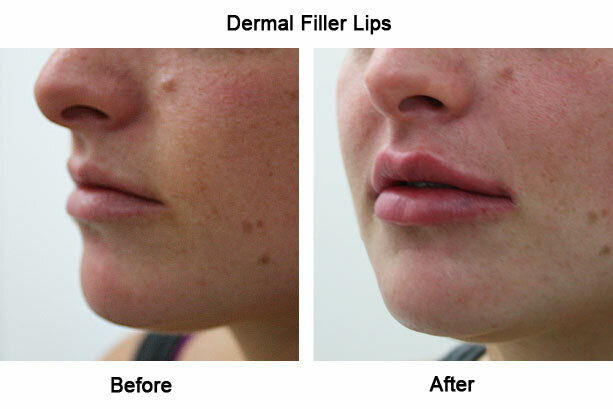 A local anaesthetic cream or injections are often given prior in order to numb the areas to be treated. 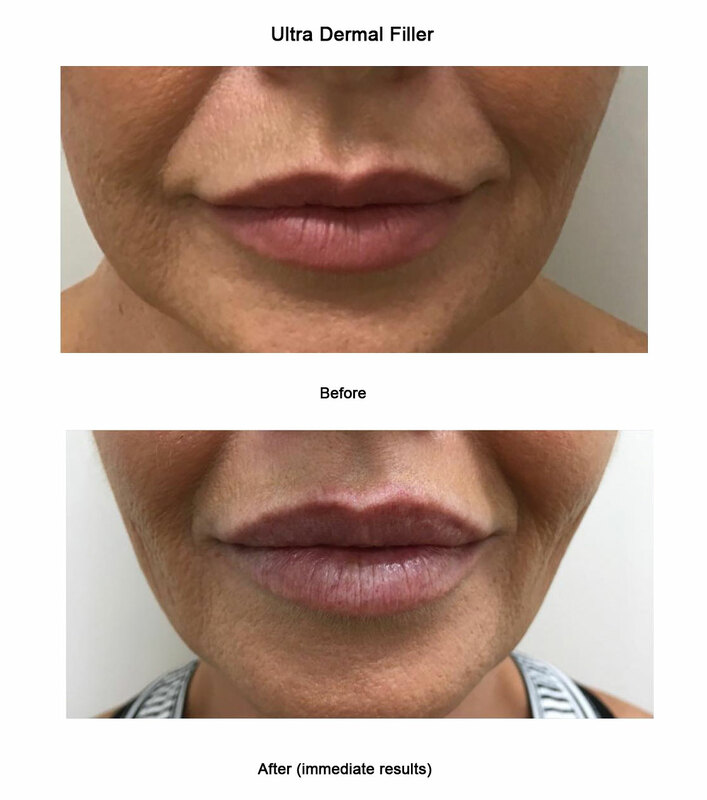 The whole procedure takes 30-45 minutes approximately and most people are able to return to work and social activities immediately. 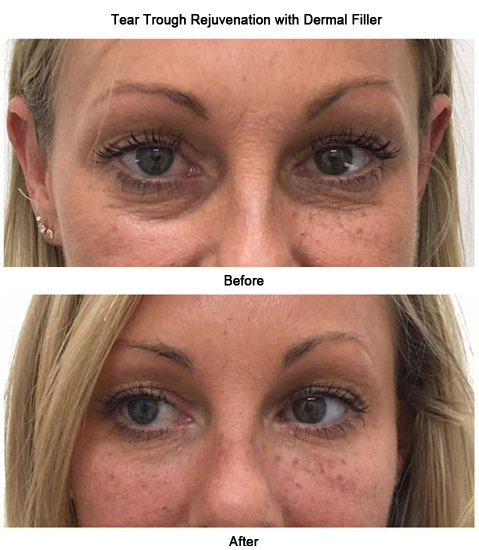 Crows feet lines (wrinkles at the sides of the eyes). 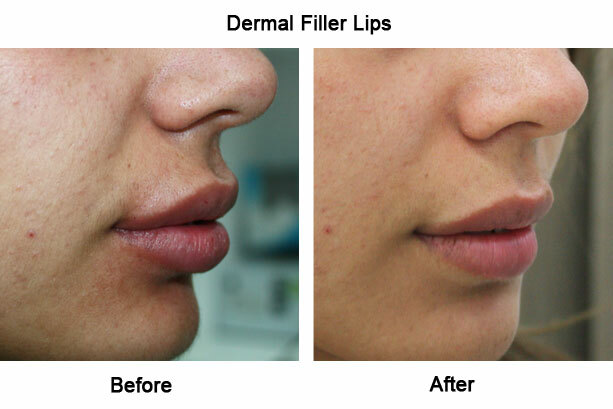 Nasolabial folds (sides of the nose to corner of the mouth). 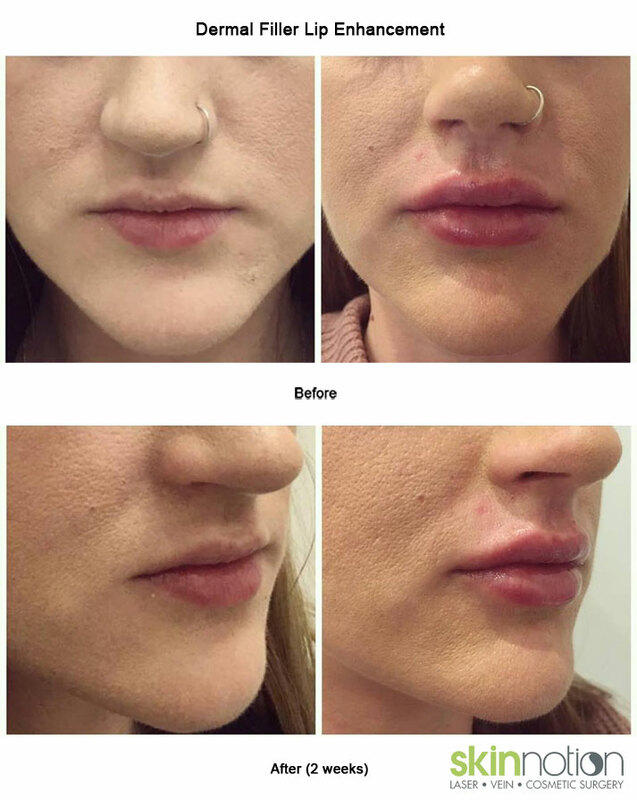 Chin augmentation (restore normal or under-developed chin). 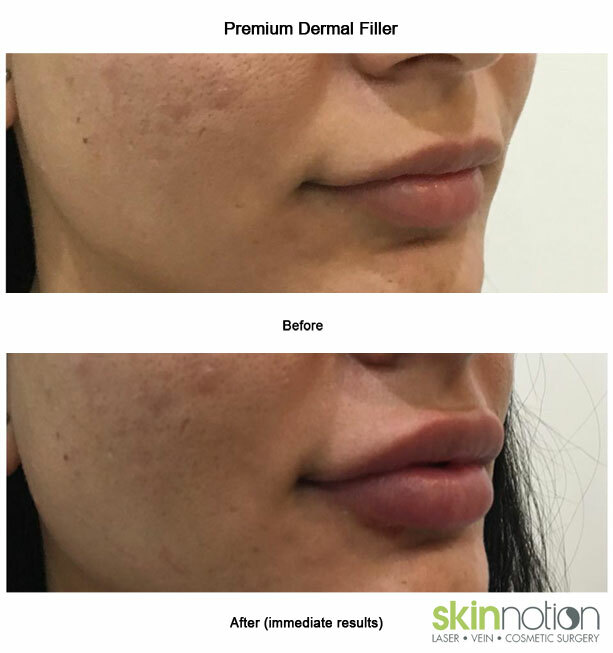 Read more about the latest Skinnotion offers on dermal filler techniques. 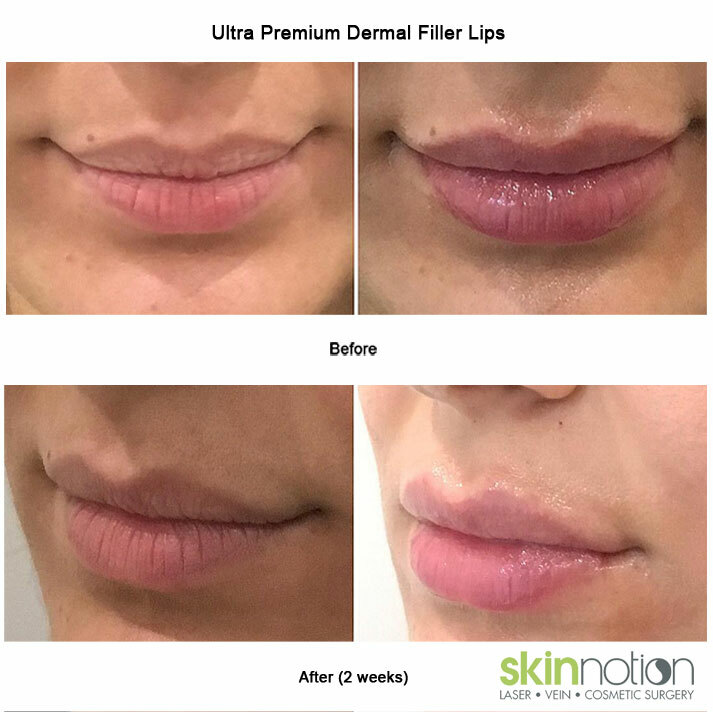 You will require periodic treatments to maintain the desired effect, the duration of which may vary from six months to two years depending upon the type of dermal filler used, lifestyle, skin type and age. 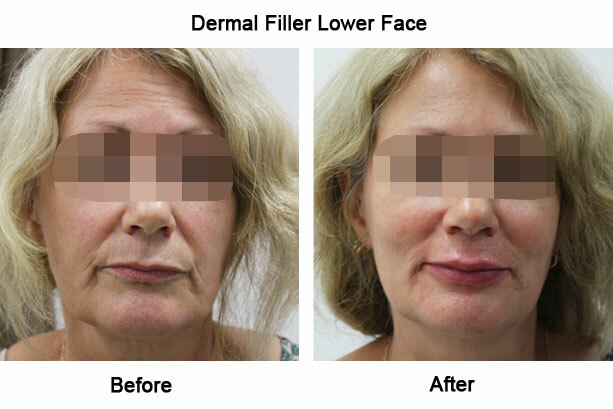 The longevity of the effectiveness of the treatment depends upon various factors such as the type of dermal filler used, age, skin type and lifestyle. 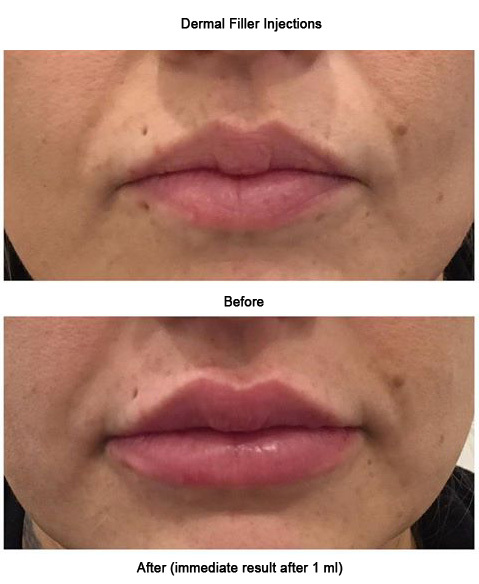 The results normally last for 6-24 months. The correction gradually reduces over a period of time. 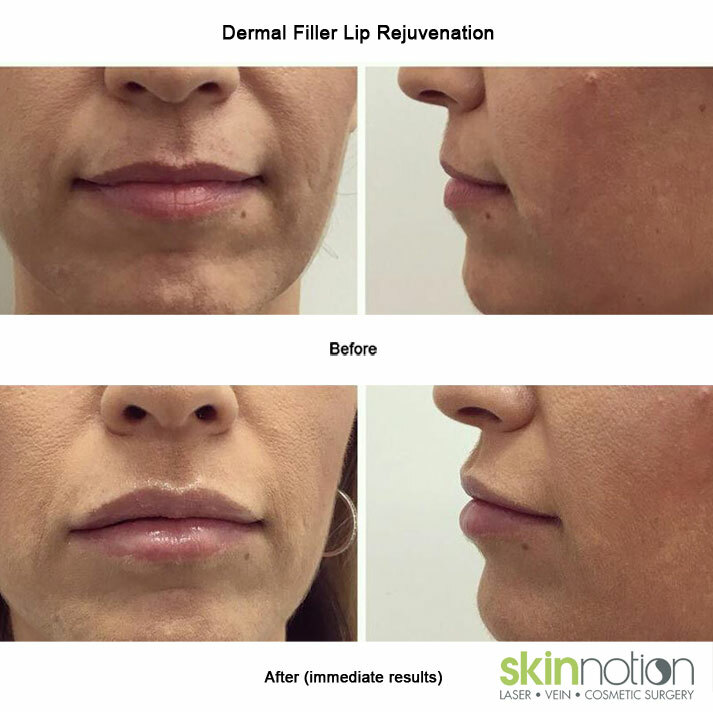 Your skin will look the same or even better due to hydration and collagen effects of the dermal filler as it did prior to the treatment if you decide not to have another treatment. These days men have become conscious of the way they look and feel. 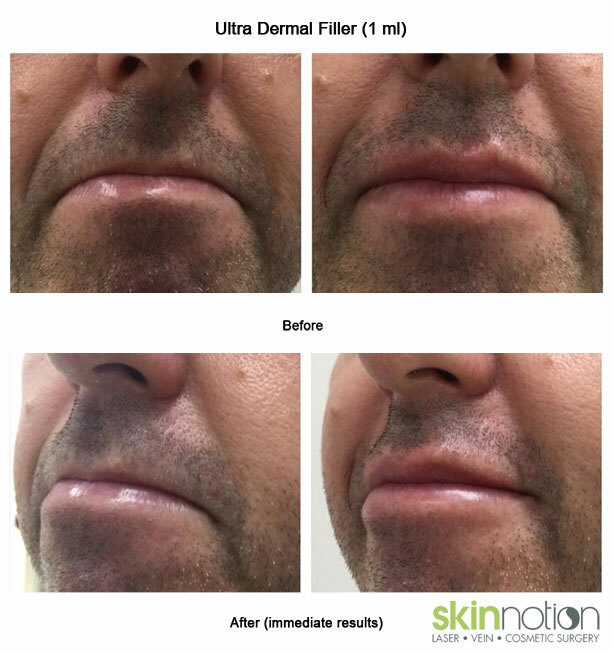 Dermal Fillers and Anti-wrinkle treatments are popular with many businessmen and professionals giving them a refreshing, more relaxed and approachable look. 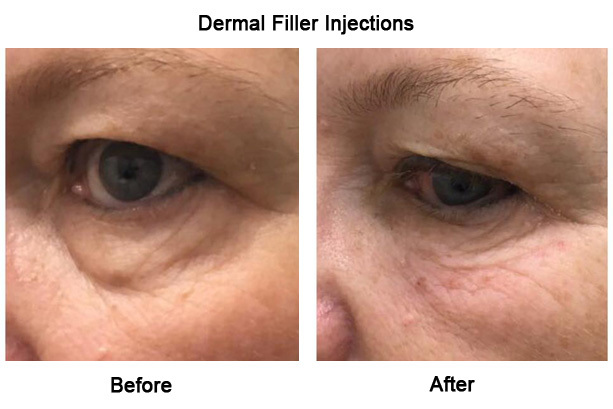 There are many different types of dermal fillers available, they have similar dermal filler content however their longevity and effects are different. 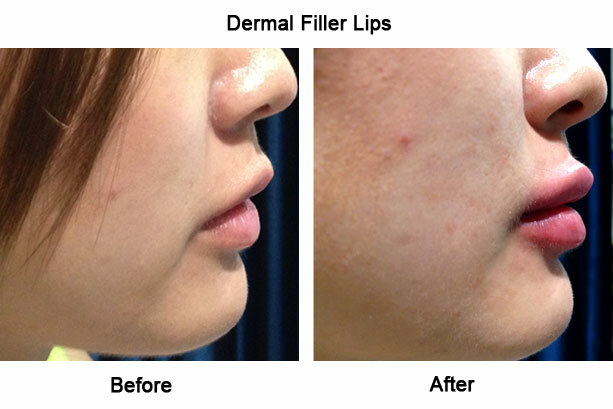 Filler type R consists of calcium-based micro spheres. 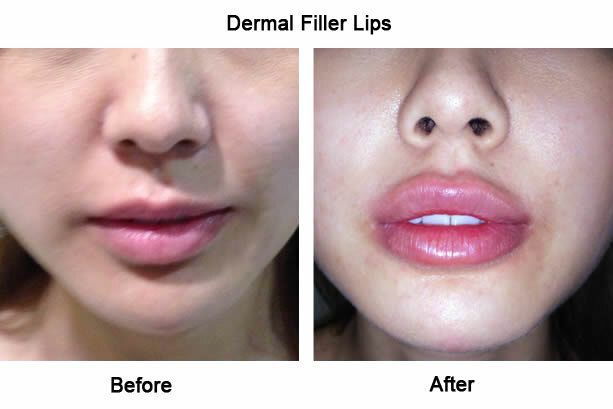 Once injected under the skin, it stimulates the body to produce new collagen to give volume and structural support. 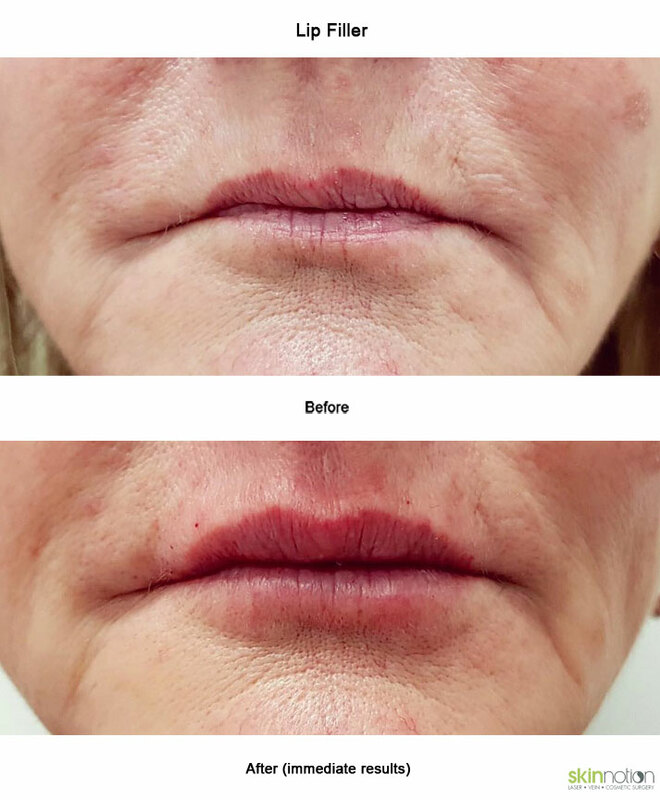 Collagen induce filler contains skin-smoothing micro-particle that works by stimulating the build up of the body’s own collagen to smooth out lines and wrinkles. 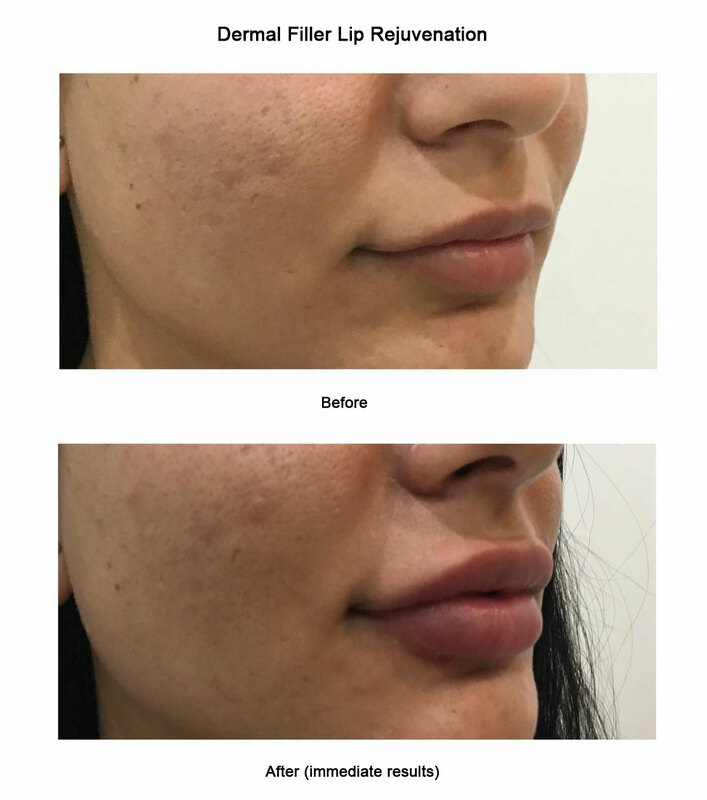 Every one has different requirements, depending on how many areas you wish to have treated and how many dermal filler syringes are necessary. 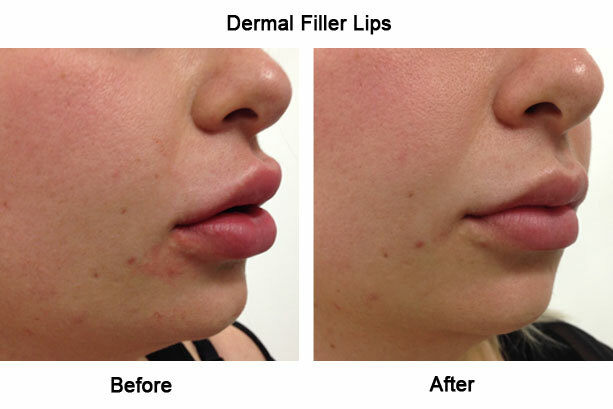 Our consultant will give you the exact cost after your consultation once the total numbers of syringes are known. 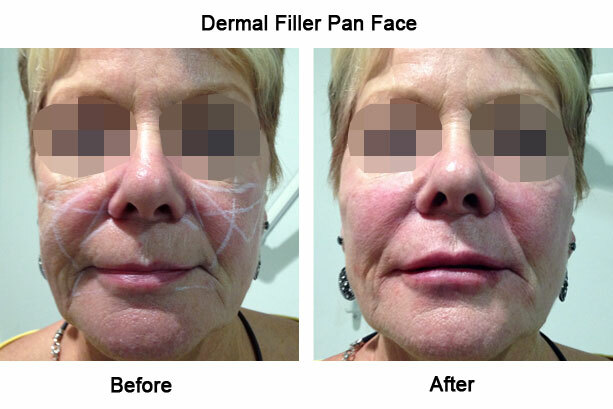 Want to know more about Dermal Filler Injection in Sydney? 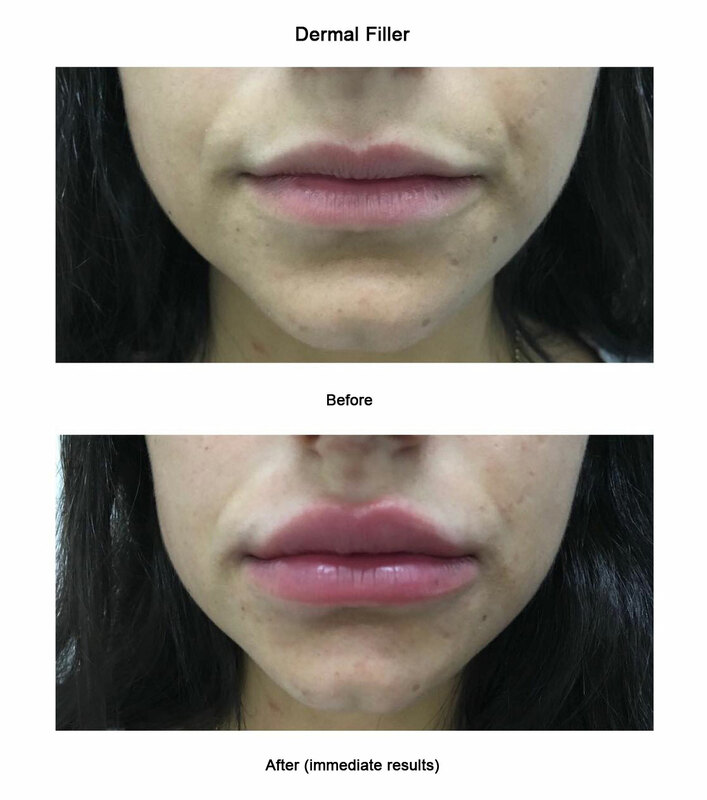 Avoid alcoholic beverages for 24 hours prior to the treatment in order to minimise possible bruising. 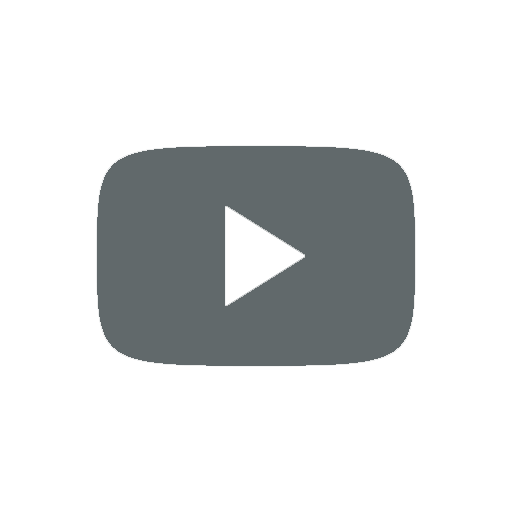 Let us know if you are on blood thinners e.g., aspirin, fish oils and herbal medicines. 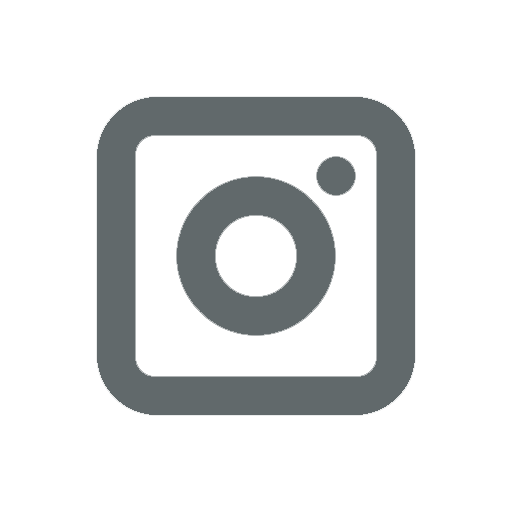 Inform us if you have any medical conditions, are pregnant, breast-feeding or planning to conceive. Avoid excessively steamy baths, any prolonged sun exposure, and strenuous exercises for 2 days after the treatment. 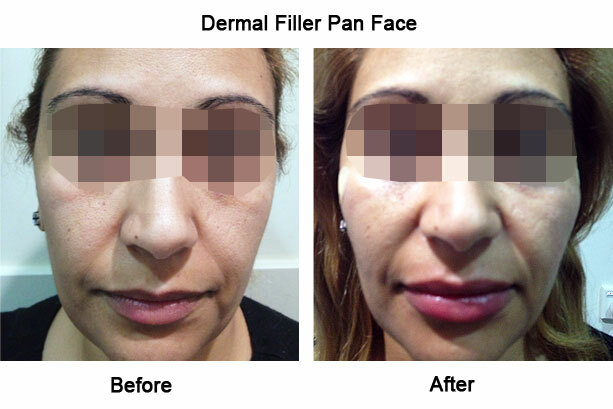 Avoid applying make up for twelve hours unless advised by our doctors. 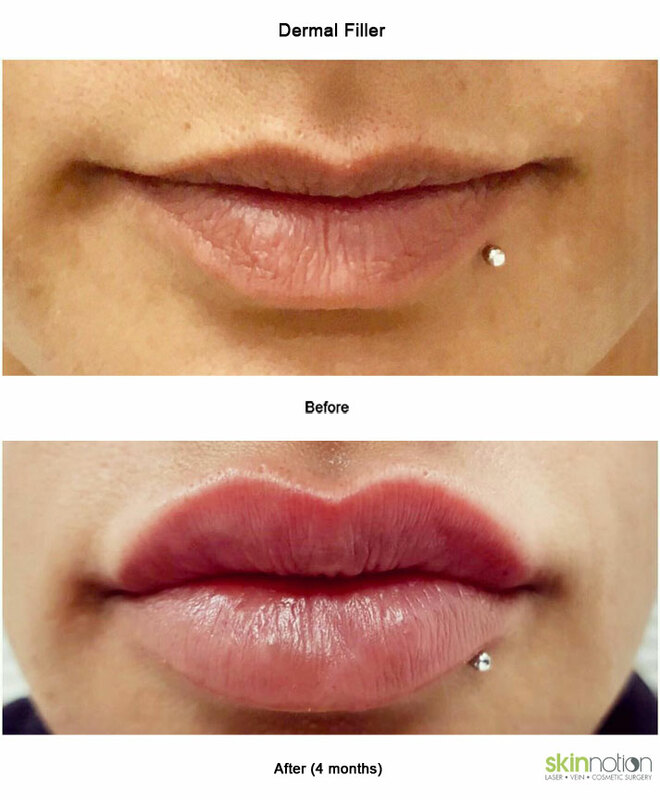 Do not poke the injected areas for 2 days. 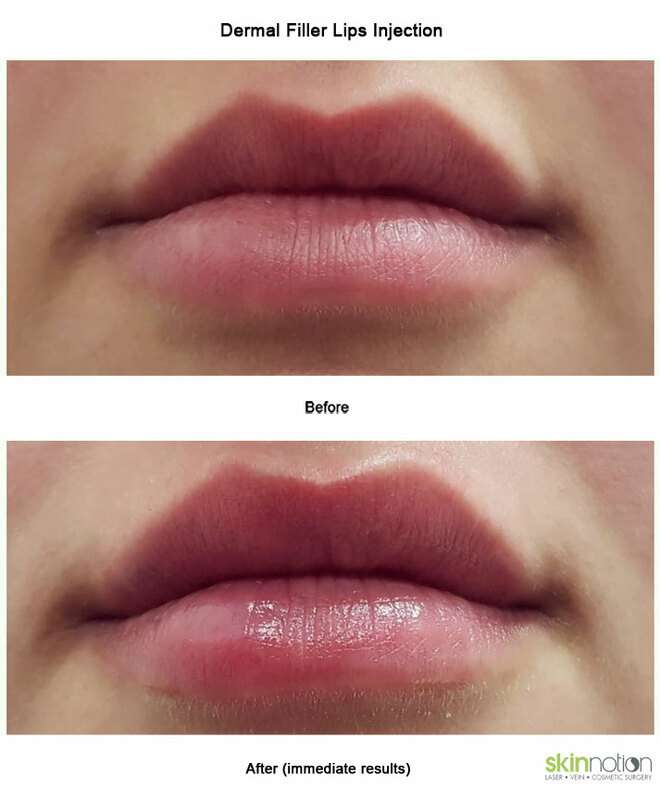 Do not rub or place excessive pressure on the areas for 2 weeks. 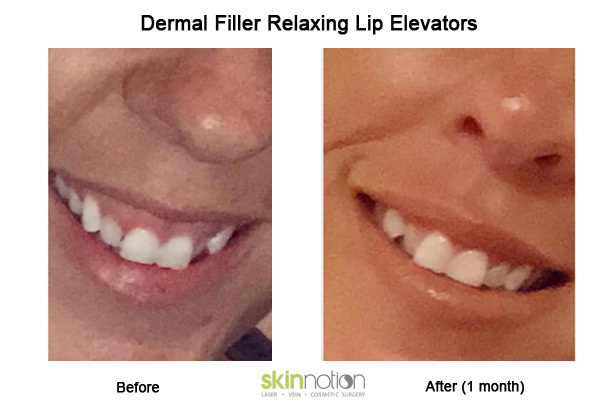 Avoid facials, chemical peels or microdermabrasion for 2 weeks. If there is bruising or swelling, use ice or a cold pack. 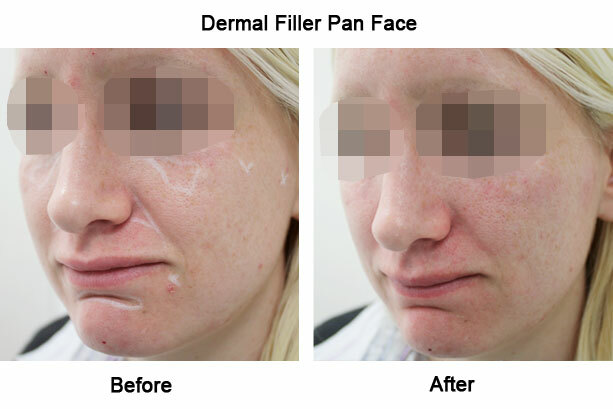 A Dermal Filler treatment is one of the most common cosmetic procedures today, with a very low complication rate due to the nature of the innovative and TGA approved products we use. Infection and accidental placement of a needle close to skin arteries causing skin necrosis is less than 1%, allergic reactions are less than 1 in 2000 and granuloma is less than 1 in 10,000. 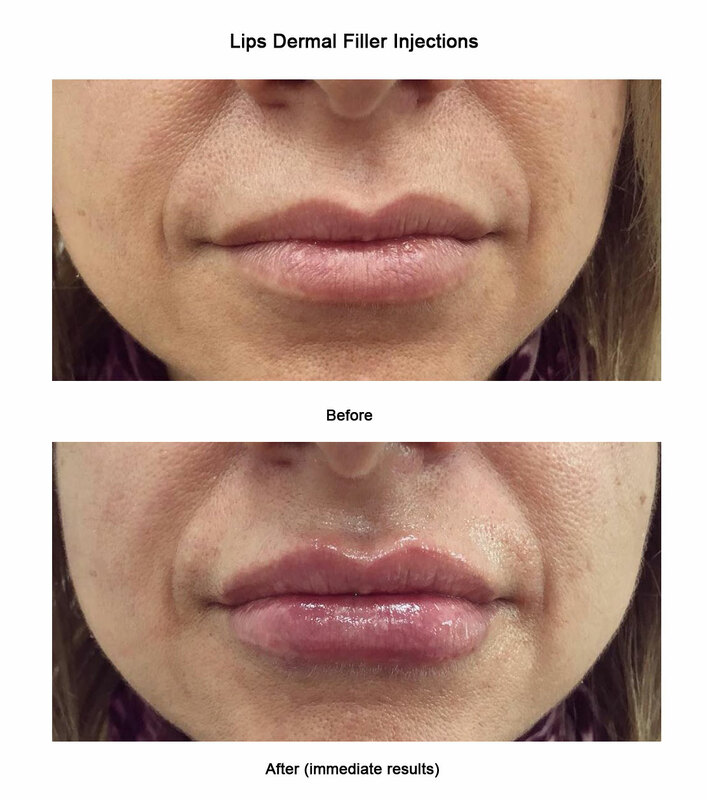 You may experience ordinary side effects such as redness, swelling, bruising and mild asymmetry which usually settles down within a couple of days. Most people resume their normal daily routine immediately after treatment. Age must be more than 18 years old. 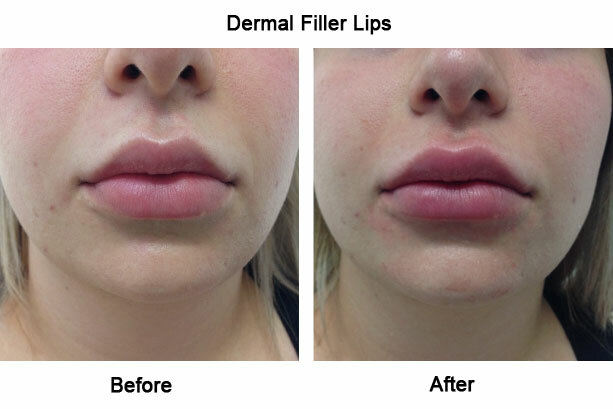 Any discomfort can be minimised by using a topical local anaesthetic cream or injection and ice to numb the areas being treated. 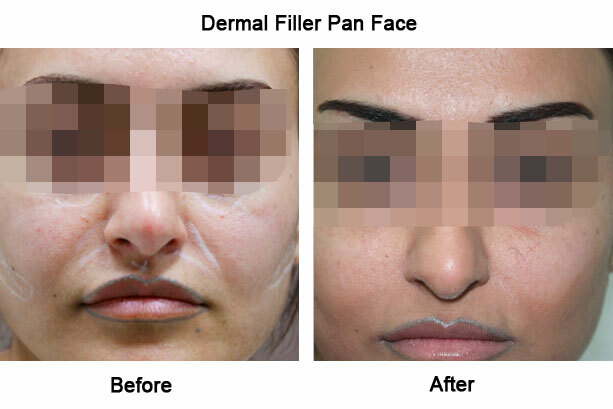 The duration of the procedure depends upon the area and the number of areas to be treated. On average between 30-45 minutes. Complications are very rare. Infection and accidental placement of a needle close to skin arteries causing skin necrosis is less than 1%, allergic reactions are less than 1 in 2000 and granuloma is less than 1 in 10,000. Rarely, however if something does occur, it usually resolves after 1-2 weeks. 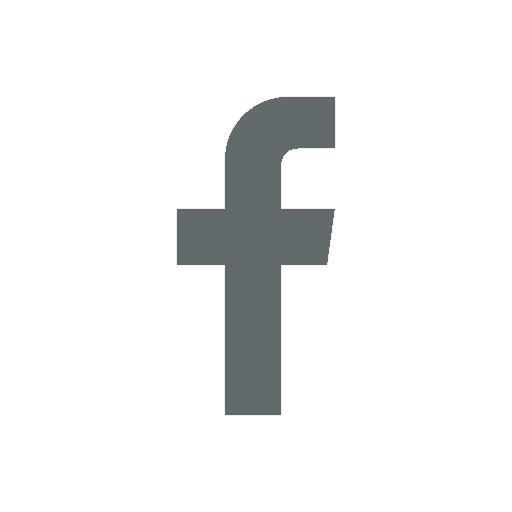 In some cases it can be dissolved with a neutralising injection. 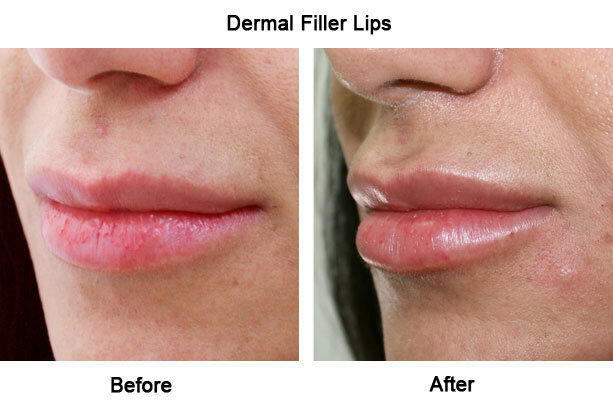 You may have bruising, redness, swelling and tenderness in the treatment area. 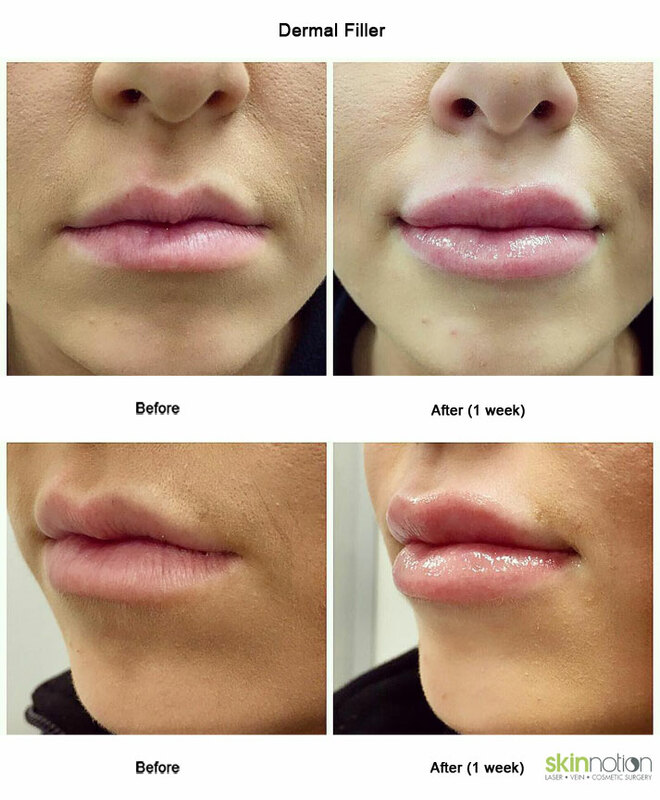 This is a normal reaction following this type of procedure however, it is only temporary and usually resolves within a week. In the meantime, it can be covered with some make-up. There is usually no need for any bandages. You do not need to take time off work. 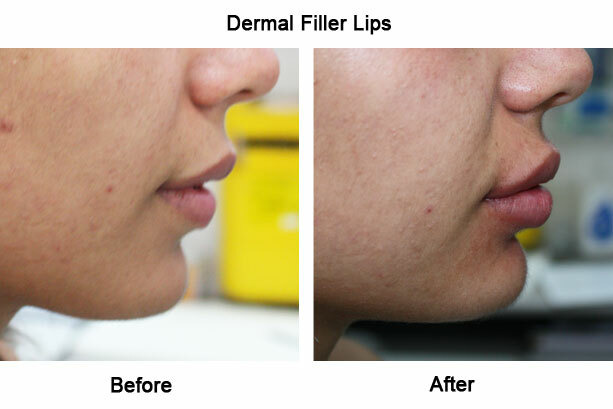 You can resume work immediately after receiving a dermal filler injection. 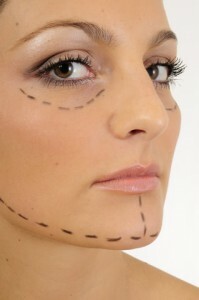 You can continue your usual exercises twenty-four hours after the procedure. You should avoid getting out in the sun for about two weeks as extended exposure to UV rays and heat can cause itching, redness or swelling. There is no need for a special diet. However, if you do experience swelling you should reduce your intake of sodium. 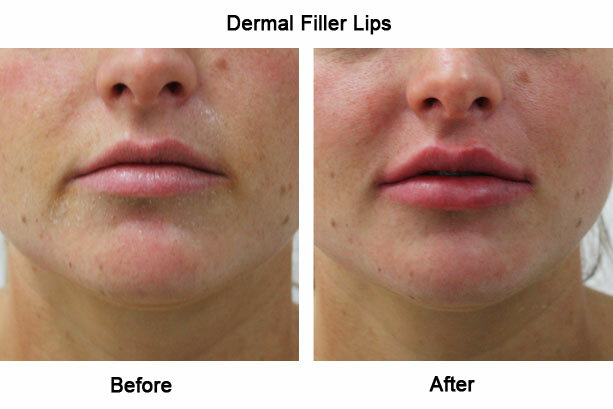 The results are not permanent and you will need to have more treatments periodically to maintain the effects. 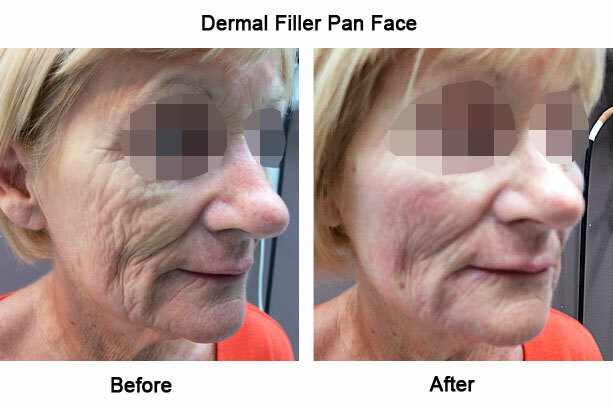 Can I drive home after my Dermal Fillers Treatment surgery? You can drive back home unless you were given a sedative. Your doctor will inform you. You will have to return after one or two weeks for a follow up. 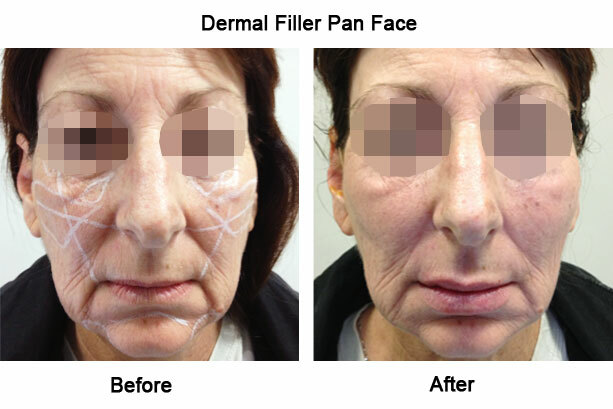 Can a Dermal Filler treatment be combined with other products and procedures to give a more rejuvenated appearance? 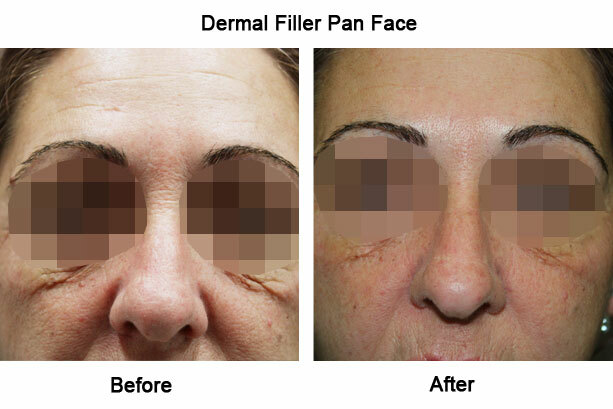 Many people use a combination of cosmetic products and procedures to achieve a more rejuvenated appearance. 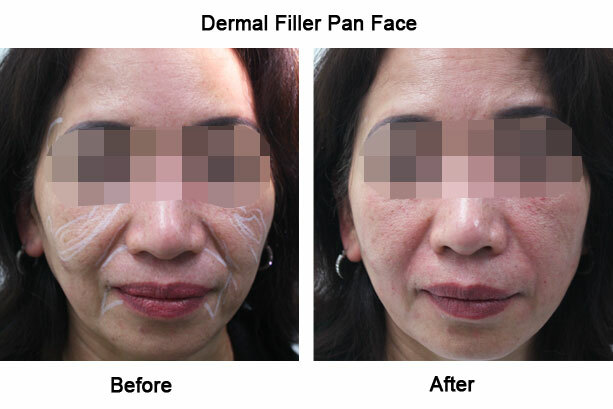 Anti wrinkle injection is used to relax the muscles we use to form facial expressions and dynamic wrinkles. When we are young, our skin springs back to its initial position. 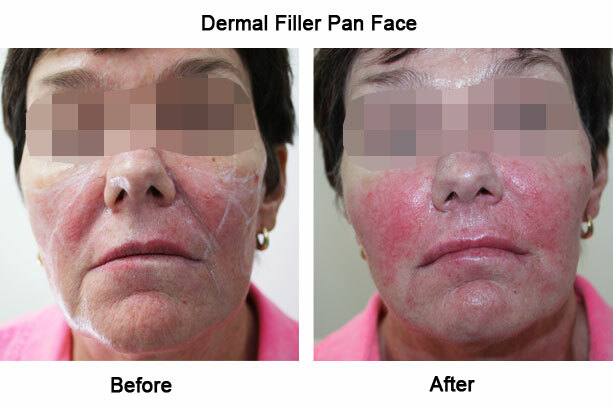 However, as we get older, dynamic wrinkles remain on the skin to form static wrinkles and folds that are still present even after resting. 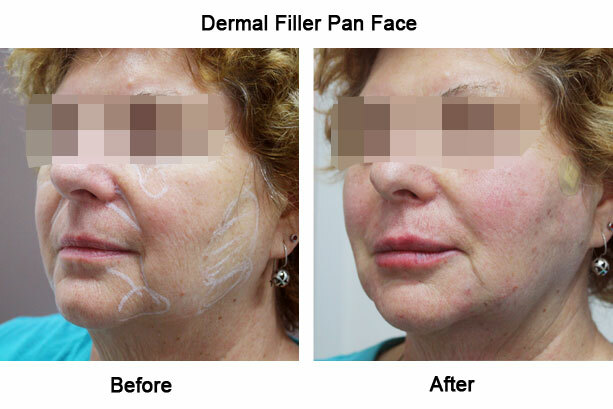 Placing a dermal filler product below the skin’s surface can literally fill in or plump up these static wrinkles and folds. 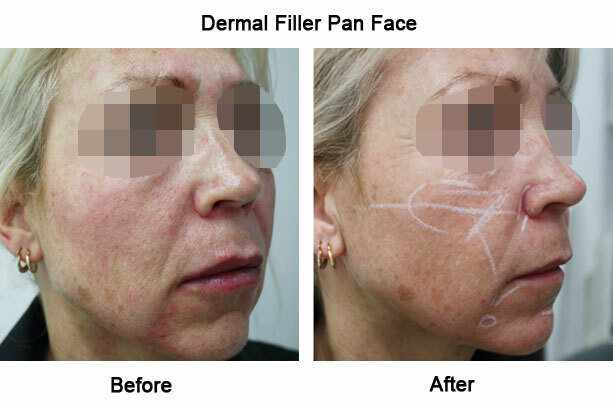 This treatment combination can aesthetically enhance and achieve longer lasting results. 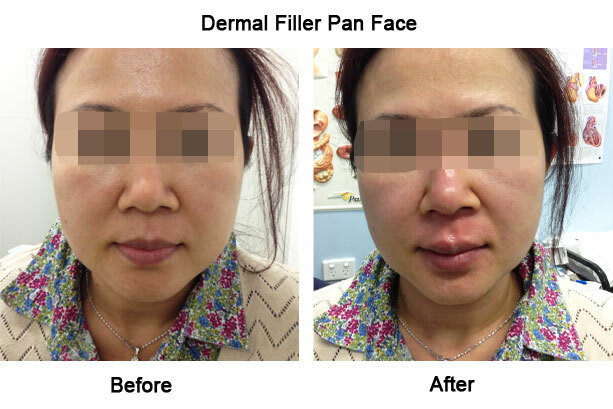 Autologous fat transfer might be used in place or with dermal fillers. 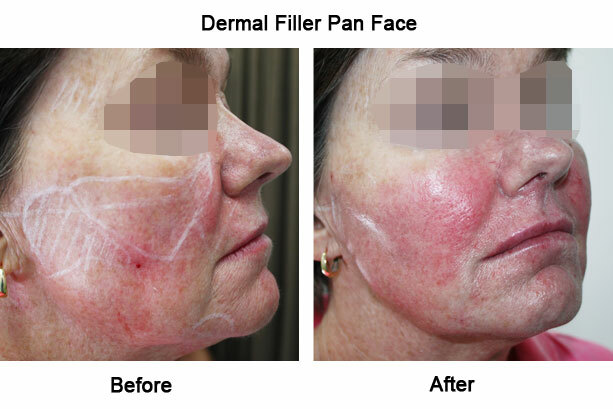 Skin care products, Dermapen, Vibraderm, PRP and Palomar laser skin resurfacing can also improve your skin condition. 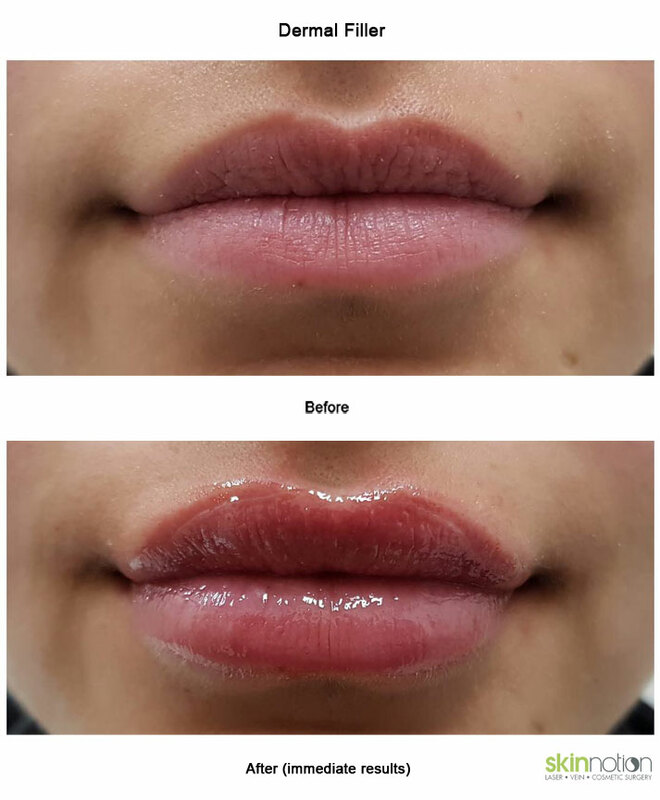 Click on here to read more about Lip Augmentation (Paris Lips), Non surgical brow lift, non surgical nose job, hand rejuviation with Radiesse, autologous fat for facial volumisation.